In my last POST about all the new Jetmax storage items at Michaels, I mentioned that I had a hard time putting one of their 3-drawer storage cubes together…so much so, that I was dreading putting the remaining two cubes together. EILEEN on AMR just asked for storage cube advice in a thread over there, and this was my answer so I figured I’d post it here, too. I also have some storage cube recommendations. Of the Jetmax brand, all I have are the 3-drawer cubes and the problem I had is the “wood” is so thin, that if you don’t get the teeny screws for the drawer sides in there exactly straight the first time, you never will (believe me, I tried). So then I had to really push super hard on the screwdriver to get them to go in. Mind you, I had to use the teeny screwdriver so there’s nothing to pad your hand while you’re cranking down on it either. You could use a cordless screwdriver of course, but ours doesn’t have a tip that small. There were 4 screws per drawer so I went through this struggle 12 times. Then I went to slide the drawers into the cube (which was also a pain to assemble), and they wouldn’t slide in until the screws were COMPLETELY flush with the sides of the drawers or even recessed a bit. More cranking on the tiny screwdriver and by that time my hand was already bruised. All that said….maybe I’m the only dummy in America who wouldn’t just go buy a tiny cordless screwdriver head for this one project, LOL! It also takes 2 sets of hands to assemble the cubes themselves, holding the sides perfectly perpendicular to each other while screwing in the tiny screws while you can’t brace it against anything to accept the pressure. Does that make sense? I’m sure some would find these things easy to assemble, but I sure didn’t…. The Store in Style brand is wonderful and uses a much easier cam lock system. You can literally put together the cube itself in 5 minutes. 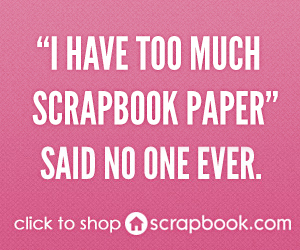 They’re also sturdier and larger, but more expensive. I don’t know if Joann’s or anyone carries them where you could use a coupon. I got them with coupons “back in the day” when Mike’s carried Store in Style. You might also look into ITSO plastic storage at Target. The cubes take no assembly per se, other than sticking little pegs in each corner (if you want to stack them) to bind them to each other. They have all kinds of drawers, baskets, shelves, and such and you can really customize it. I have 3 of those ~ just the plain cubes ~ that I stack my CM Power Sort Boxes in. If I had known about Itso before I invested in the Store in Style, I probably would’ve done my whole wall in Itso. It’s cheaper and more flexible with the configurations you can do. Here are some Itso REVIEWS; two of them are from scrappers! Anyway, there’s some more info and photos of all 3 types of cubes HEREand at the bottom of THIS post. If you’re in the market for scrappy storage, I hope that helps ya! Thanks for posting the info you found… I’ll be thinking twice before getting the Jetmax storage. Thanks for the info! I am a big IKEA fan, so I think I’ll stick to those. I did notice that the Target cubes are on sale this week, though! I gotta tell ya, your blog is like a scrapper’s library. 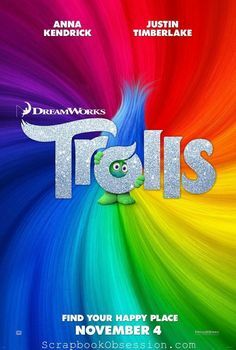 All anyone has to do is find the corresponding post to their question and everything you ever wanted to know is laid out for you, links, pictures, etc. Great review. I really want the IKEA shelf, but it’ll prob never happen. I did see a scrap room where someone took a bunch of those cubes and used a hollow wood door on top to make a desk. Looked pretty neat. I wish someone would make these cubes in wood tones instead of just white. I’m not asking for real wood, just a wood veneer in walnut or cherry instead of white. 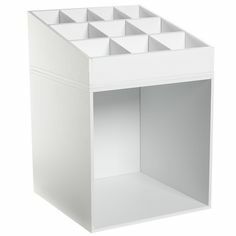 Hi Lauram, I too am looking for scrapbook storage cubes or a hutch in a wood tone (rather than white)to put on my table. Did you ever find any? I’ve thought about painting the white ones brown, but that would be so much work. Maybe I could have someone build and stain a unit, but that is probably a lot of money. Thanks for any info you might have to guide me, K.
I was trying to decide what storage cubes to buy next from the Jetmax collection when I came across this write up. I am quite suprised with the trouble you had getting yours together, my 13 year old put the two I got for Christmas together in about half an hour. I got the 3 drawer storage unit and one with shelves. Maybe you got a couple of defective ones. I have loaded mine up with stuff but haven’t really used them yet, they appear to be quite functional. My experience with the Target and Michaels cubes (and I have a lot of them) is that you need patience and a cordless screw driver or I have a Makita drill is ideal. Two sets of hands is helpful but not 100% necessary — I worked on the floor as I assembled. It was somewhat exhausting assembling 10+ cubes but gratifying in the end. I did get one cube that was wrong… like a manufacturer defect and it got returned. The last thing, look at the boxes, crushed corners may be an indication of damaged goods. Check out my scrapbook blog and room video youtube if you would like to see them. Your blog is excellent! Once again I have to say that you just picked the wrong one to start with. The four shelf unit is a breeze to put together. I had to put mine together by myself as asking my husband to do it would mean that I would have the same results that you had. I found that the screwdriver that I had worked easily. My hands were sore once I was finished but I put together 40 or so of them over a time period of a couple of weeks. The trick to getting these together easily is to match the screws to the holes and screw in until snug. Do not over tighten as this will strip the MDF board. The only unit that I had issues with was the one with the deep drawer and the shelf. If using this unit be sure to replace the screws in the drawer handle with nuts and bolts as they pull out if the drawer is very heavy to pull out. I would recommend Jetmax and I have recommended Jetmax to several people. 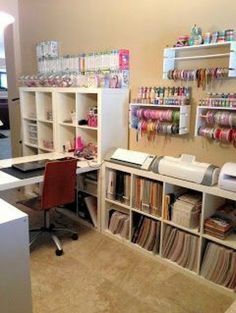 It is a wonderful system for organizing scrapbooking supplies. I’ve gotten the cubes from Michael’s – they say Jetmax on them – and have had no trouble except for a bas screwdriver. When I got the “good” one out – small phillips – they went together SO quickly. I’ve had the 4 drawer ones, and 3 drawer ones for a year and a half. I just got one with 2 drawers/ribbon holder, and the shelf one. I will continue buying these until I’m happy with the room. Wish I could afford to just do it all at once, but that just gives me time to see what I need next. 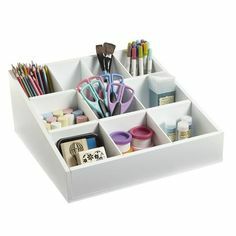 Do the drawers in the 3-drawer cube have dividers? I got a cube with 1 open shelf and one drawer and it had a great insert that gave 12 small sections perfect for embellishment storage. I was thinking about the 3 drawer one, or even the 2 drawer and ribbon holder one, but the box says nothing about whether or not there are inserts. I have two of the Jetmax 3 drawer units. I suppose I should have looked closer when I purchased them. The ones I bought have an open top. There are mnay dividers in the “well”. I like to have everything enclosed, so that was a surprise. I am using those to store my craft sizzors glue sticks, etc. It does make ti handy not to have to open a drawer to get to them. The other surpise is the drawers in those units are canvas. I was not expecting that. It makes the unit lighter, but I fear placing anything heavy in those drawers will warp them oer time and they will not slide back and forth. Let’s face it these are mass procuded inexpensive lightweight stroage units. We can not expect the same qualty as if we had commissioned a cabinet maker to buikd a custom design. 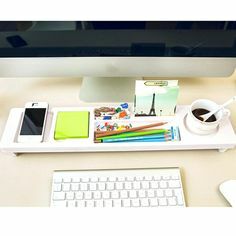 I want another unit to complete the space behind my working desk. I am replacing plastic ones. Back to Michaels. I had the same problem with the side screws. I ended up using a drop of glue on each screw to make sure the wood stayed together. so far so good. I too am sick of white. I need more cubes and I am thinking of painting them. I had good luck spray painting some shelving. With the Jetmax or Recollections cubes I think I will sand first and in between coats. I didn’t for the shelves as they are up high but they don’t have a smooth finish that I would want with the cubes. Has anyone out there tried to paint their cubes? Any hints for me? I googled Jetmax 3 drawer cube because I was looking for a solution to a problem I discovered with the one I bought — no gliders for the third (bottom) drawer, so it does not slide in and out smoothly and makes noise when opened or shut. I have no idea why there would not be glides for all three drawers; they certainly aren’t expensive parts. I wondered if anyone else had found a solution to making this third drawer more workable.